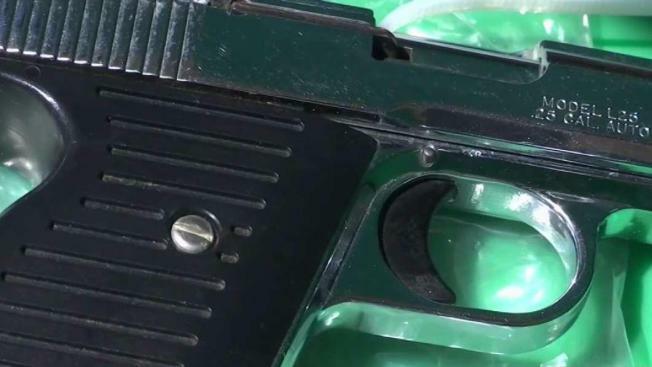 San Jose police last year responded to an increased number of calls involving a gun, a jump of more than 20 percent from the previous year. The numbers from 2017 concern Chief Eddie Garcia, who is now looking to find the root of the increase. NBC Bay Area asked for the numbers after beat cops reported it was getting out of control on the streets. Officers felt they were getting a call per day that involved a gun. Turns out the officers were wrong. Numbers show it was worse. In 2017, police responded to 1,147 calls involving guns -- a 23 percent increase from the year before. "That's ridiculous," San Jose-resident Thera Gonis said. "We shouldn't have that problem. It's scary." The Willow Glen neighborhood has had its share of crimes last year. "Now I don't even let my son out of site," Gonis said. "It's kind of depressing." On average, San Jose police responded to more than three calls per day involving a gun. "Weapons calls did go up last year, and its certainly a concern of ours," Garcia said. The chief will study the numbers to see if there is a cause and a solution to the increase. Garcia is not ready to point the finger at Prop. 57, which allows the early release from prison of so-called non-violent criminals. But he also won't hesitate to raise a red flag if research shows there's a correlation. "I do think Prop. 57 has had an effect. There's no question about it," Garcia said. "To the etent of the effect that it's here, I don't know yet, so we have to delve into the numbers." So far this year, SJPD officers have already confiscated more than 50 guns. The chief said that is at least 50 crimes that may have been prevented by proactive beat cops. "Every gun that we take off the street, we stopped a homicide, stopped an assault with a deadly weapon," Garcia said. "So we stopped that crime before it was ever reported."